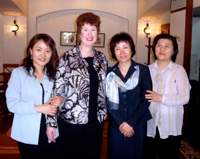 Jane Magrath is well known as an author, clinician, and pianist. Her book The Pianist's Guide to Standard Teaching and Performance Literature has become a classic reference work for pianists throughout the country, and Magrath's work in the area of the standard classical teaching literature has been central to the current revival of interest in this music throughout the U.S. She currently has more than thirty-five volumes published with Alfred Publishing, and her music editions are used widely throughout the U.S. and abroad. Her classical series include the Masterwork Classics series in 9 volumes, Encore, Masterpieces with Flair, Melodious Masterpieces, Sonatina Masterworks, Modern Masterworks, and the Classics Alive series. Her newest literature series is titled Audition Repertoire for the Advancing Pianist. Dr. Magrath is frequently in demand as a clinician and teacher, and during the last twenty years has performed and given presentations in over forty states including Alaska, and on three continents. Her workshops and master classes have drawn international acclaim. Magrath has served as Piano Coordinator for National Conventions of Music Teachers National Association and givenpresentations at MTNA National Conventions, the European Piano Teachers Association Conference, the National Conference on Piano Pedagogy, theWorld Piano Pedagogy Conference and at many stateMTNA conventions. Her articles have appeared in the major pianojournals. She was named the first recipient of the MTNA/Frances Clark Keyboard Pedagogy Award for the Outstanding Contribution to Piano Pedagogy. For many years she contributed New Music Reviews to Clavier and the column Polyphony, to The American Music Teacher and continues her column Musingsi through Clavier Companion. Magrath currently serves as an editor for the Piano Pedagogy Forum. A native of South Carolina, Magrath received her education at the University of North Carolina at Chapel Hill and at Wesleyan College, and was the first person to receive the D.M. in Piano Performance and Pedagogy from Northwestern University. 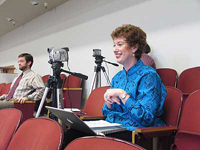 A faculty member at the University of Oklahoma since 1981, she received a Regents' Award for Superior Teaching as well as an Associates' Distinguished Lectureship Award on two occasions and a Rinsland Award for Excellence in Educational Research. She was named McCasland Presidential Professor by the University, Oklahoma Music Teachers Association Teacher of the Year by that association, and also Oklahoma Musician of the Year by the Oklahoma Federation of Music Clubs. 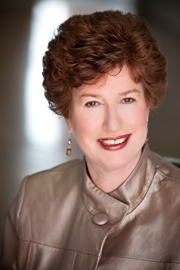 Currently, Magrath is Regents' Professor and holds the Grant Endowed Chair in Piano Pedagogy at the University of Oklahoma, where she was recently named Rothbaum Presidential Professor of Excellence in the Arts and serves as Director of Piano Pedagogy. In 2009, she received the Neustadt Award from the University, given to an advocate for students and nominated by students. She advises masters and doctoral students in the piano pedagogy degree, and has chaired many documents and dissertations in the department. Her students have won numerous prizes and competitions. Magrath is most at home working in the studio and classroom with students, and collaborating with faculty colleagues, pianists, and teachers.